A generation has passed since Liverpool lifted the title and became league champions in 1990. In football, that is a really long time ago. A lot has happened since then. During that period, we have witnessed Sir Alex Ferguson’s Manchester United become a European powerhouse, Arsene Wenger’s Invincibles going through an entire season without defeat and Leicester City’s miraculous fairytale season. On top of that, Liverpool’s lethal front three of Mane, Firmino and Salah hadn’t even been born yet at that time. Liverpool came agonizingly close to the prize on a few occasions. The most recent was when an unfortunate Steven Gerrard slip demoralized their title charge when they were within touching distance of the eventual champions Manchester City. However, they have looked the real deal this season and have had their best ever start in the Premier League. They have played 19 games without defeat, winning 16 in the process. Liverpool is currently top of the league table leading Tottenham Hotspur by 6 points and Manchester City by seven. There is a strong sense of optimism in the air that this could finally be their year. 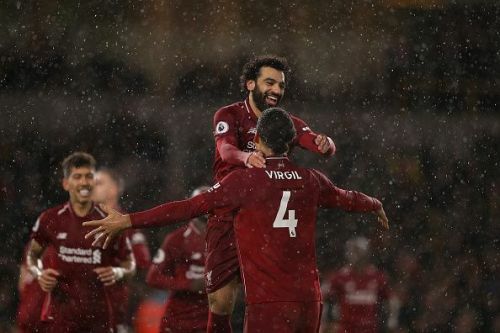 As the season approaches Christmas, we take a look at three reasons as to why Liverpool will win the league ahead of their rivals. Sir Alex Ferguson once said that attack wins you games but defence wins you titles. That is absolutely correct. Great champions have always had success with a rock solid defence as the spine of the team. Liverpool currently moves in that direction as they boast the best defensive record in the league. They have conceded a meagre seven goals this season ahead of their rivals City who have let in thirteen. 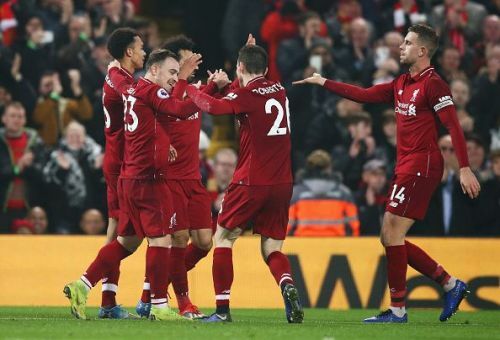 Liverpool’s back four have done an amazing job this season. The Emergence of young full-backs in Trent Alexander-Arnold and Andrew Robertson has added a cutting edge to their back line. However, it is the acquisition of Virgil van Dijk from Southampton that has proved a masterstroke. The Dutchman is a born leader who has organized the defence and has formed a formidable partnership with the promising Joe Gomez. No team has kept more clean sheets than Liverpool this season and that is all thanks to Alisson Becker. The Brazilian who came in from Roma during the summer has kept 12 clean sheets, more than any other goalkeeper in the league. The club is also yet to concede more than one goal per game which is a hugely impressive stat.